Catalyst Member Rewards is our way of letting you know how much we value you and your business; combining all the right elements to offer unique benefits based on your level of participation. There is no need to enroll. 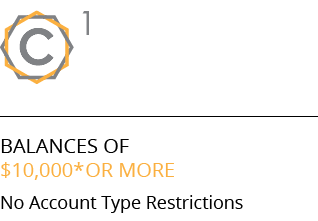 If your account activity qualifies, you are automatically enrolled at one of three levels. As your account activity grows, your level is automatically increased and your rewards along with it. It’s that simple. 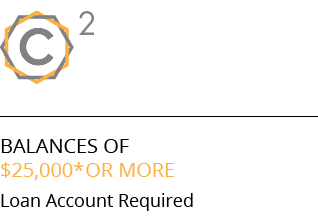 If you do not currently qualify for a Catalyst Rewards Level, talk to us. We’ll show you how consolidating your activities can help you earn these rewards as well. 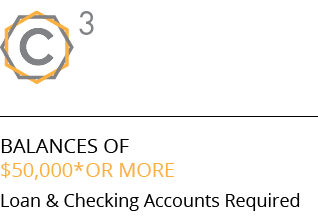 To view your Catalyst tier and benefits, log into online or mobile banking and select “Member Rewards” from the “More” options.